Our world is an amalgam of so many fascinating elements, that the opportunity for an excellent and rare photograph seems to always be around the corner. When the lines between these elements blur, it leads to an alternate set of opportunities altogether. There is no doubt that there are many rare and bizarre occurrences on our planet on a regular basis and this happens because of two or more distinct elements coming together. What would happen if Hitler was interested in interior decoration? Or if we sent a camera into space to capture the northern lights? Here is a list of 20 interesting pictures that try to answer these brand of questions. 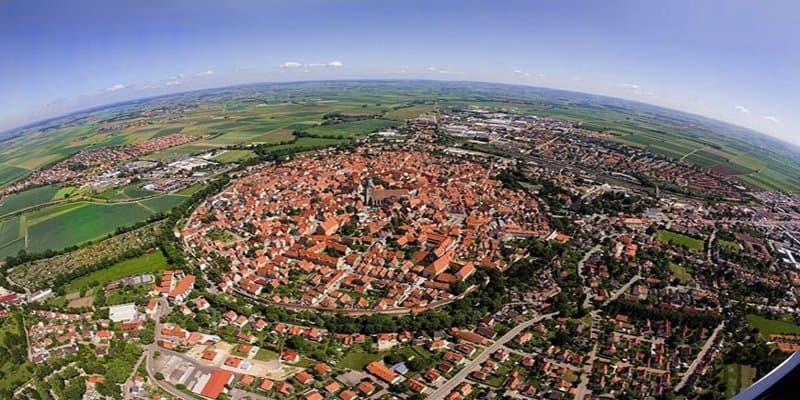 Nordlingen is a Bavarian town that was built on a crater of a meteor that hit the Earth roughly 14 million years ago. The image of the crater and the symmetry of the town can be seen very clearly in this photograph. The natural heat produced within the Earth’s crust creates Geysers at various points on our planet. 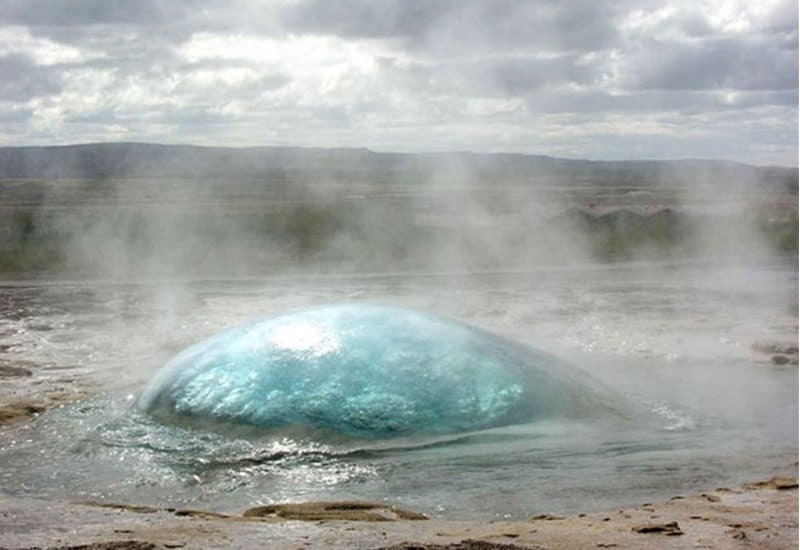 The eruption of a Geyser is a glorious sight but the point just before eruption looks extremely odd, as evidenced by this image. 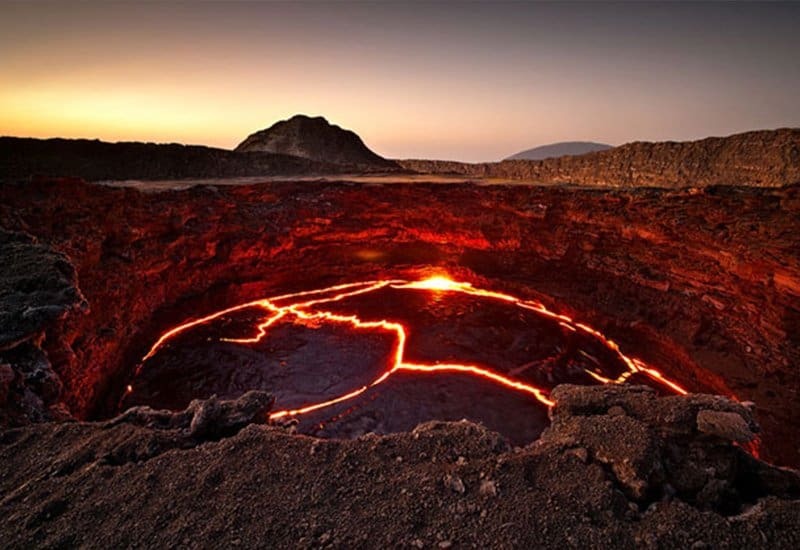 This beautiful image has been taken from atop the active volcano in Ethiopia. Erta Ale has been active for centuries now and the continuous stream of lava has now become a Lava Lake with temperatures that reach nearly 2,000 degrees Fahrenheit. This picture was taken in May 2013 when one of the largest expeditions to Mount Everest was underway. 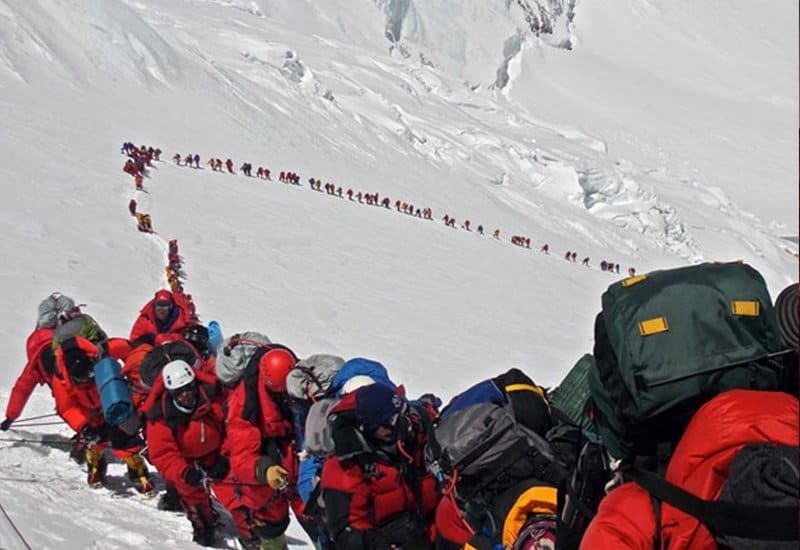 A large stream of people can be see diligently scaling the sides of the mighty Mountain. The experience must have been terrifying for the climbers but knowing they were all in this together must have been comforting as well. This is the kind of picture that period drama’s constantly try to emulate, the image that represents a sunnier time and happier vibes. 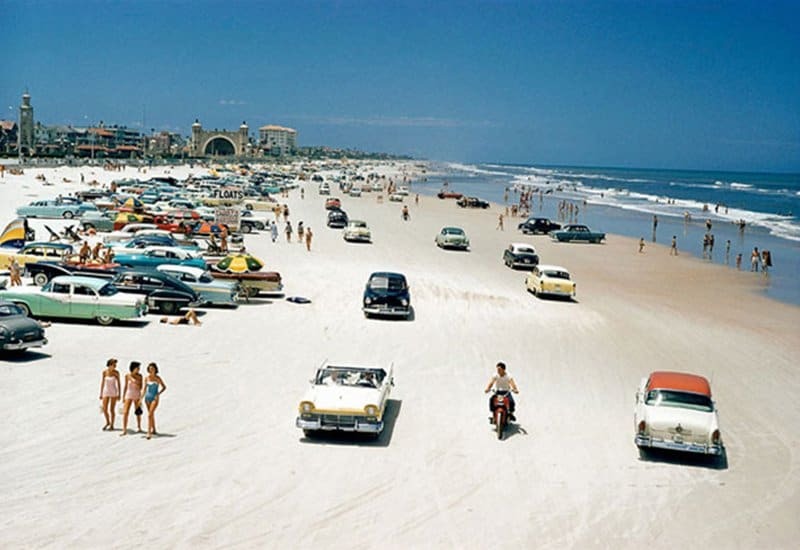 This picture was taken on Daytona Beach in 1957 on what appears to be the most photogenic day of all time. The cars, the beach, the people and the time itself combine to make an extremely unique photograph. 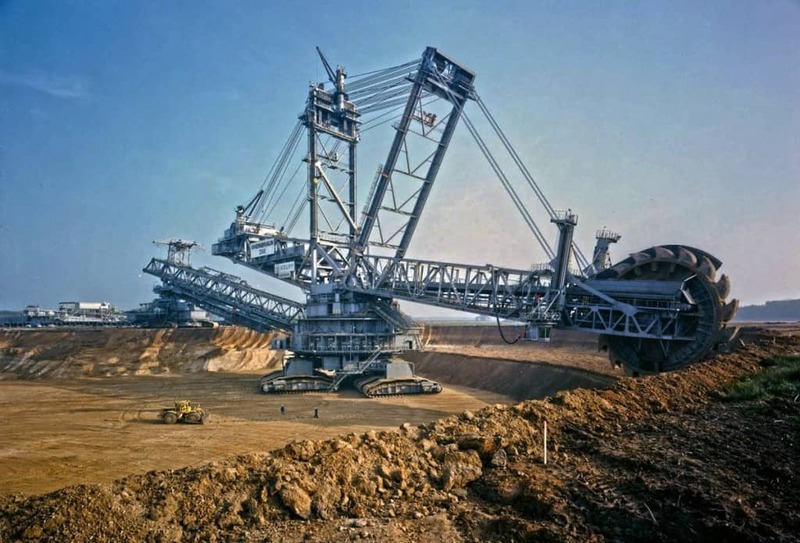 This is a photograph of Bagger 293, the heaviest land vehicle in the world. It is essentially a giant bucket-wheel excavator made by the German giant TAKRAF. The vehicle is over 300 feet tall and weighs 14,200 tonnes. 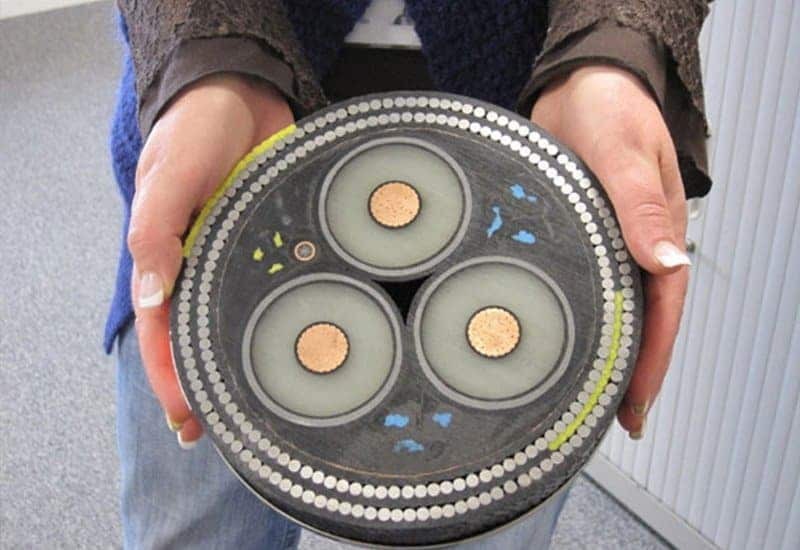 Have you ever wondered what the cross-section of an undersea cable looks like? Someone did because this image clearly shows us what it would look like if someone used a giant laser to cut one of these giant underwater cables! 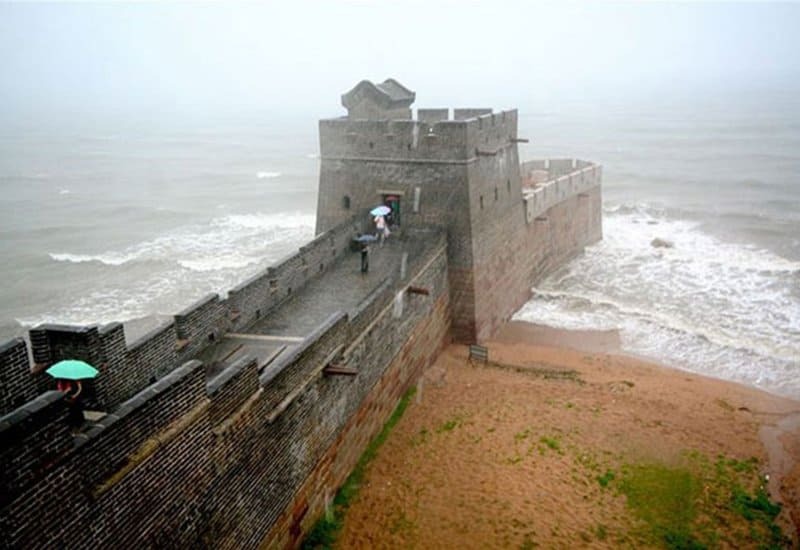 We have all seen images of ‘The Great Wall of China’ on the internet, but have you ever seen what it looks like at the point where the wall begins/ends? We were fascinated to find out that it ends at a water body, but that actually makes perfect sense, unless a soldier knows how to swim. 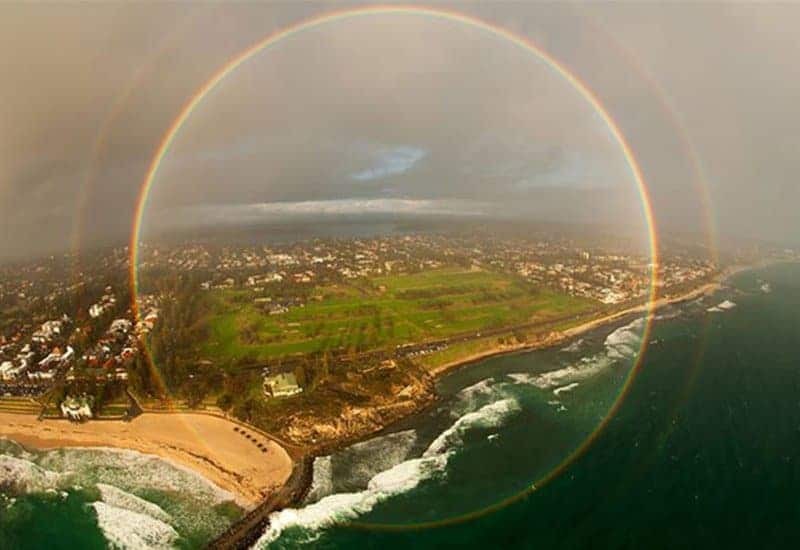 Yes, there are such a thing as 360 degree rainbows. Here is an image of a rare one being captured from an airplane. I wonder where the pot of gold is placed in this situation, or does this rainbow demand two pot of gold’s? We tend to lose a sense of scale in our world considering that there are so many people, so many commodities and so many problems. 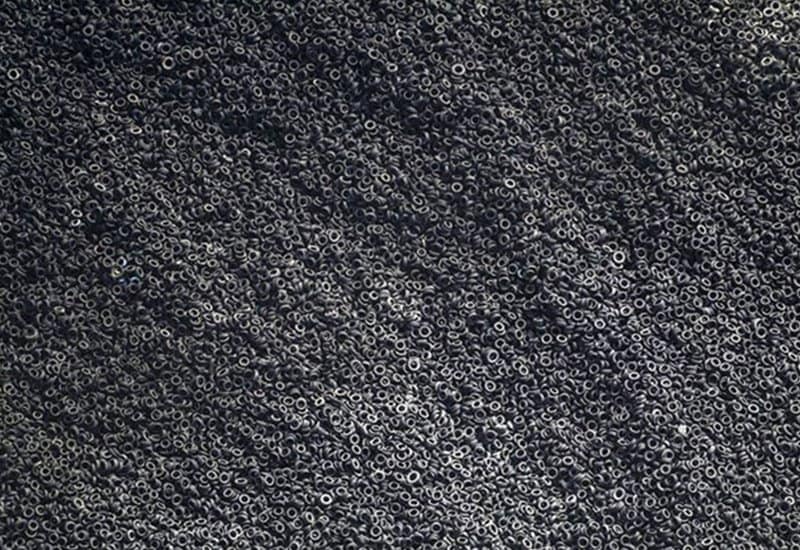 If you have ever wondered how a picture of all the cars in the world lined up in a massive lot would look like, here is a picture of a massive scrap tyre yard from an overhead view to help you picture things more accurately. We have always known that Google is a company with an eye for details. 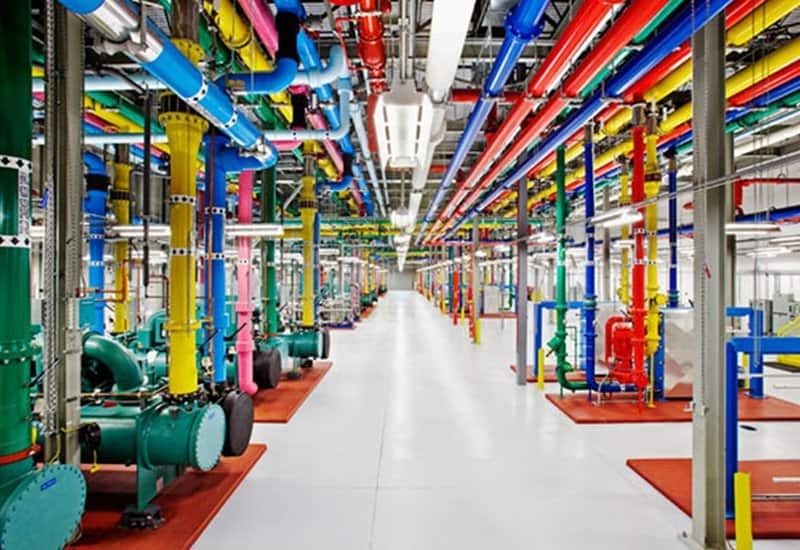 Colouring each of their pipes in one their massive data centres is a masterful touch which shows the extent of the sense of humor in this super-company. 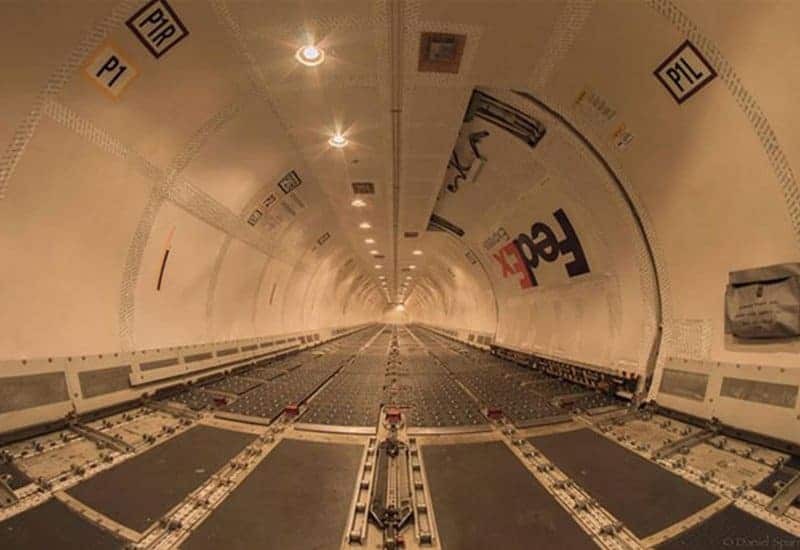 If you think you have been shopping online too much, here is a picture of an empty Boeing 757 to help reaffirm that feeling. Every fearful conqueror knows that you need a massive symbol of authority to prove your dominance over the people. 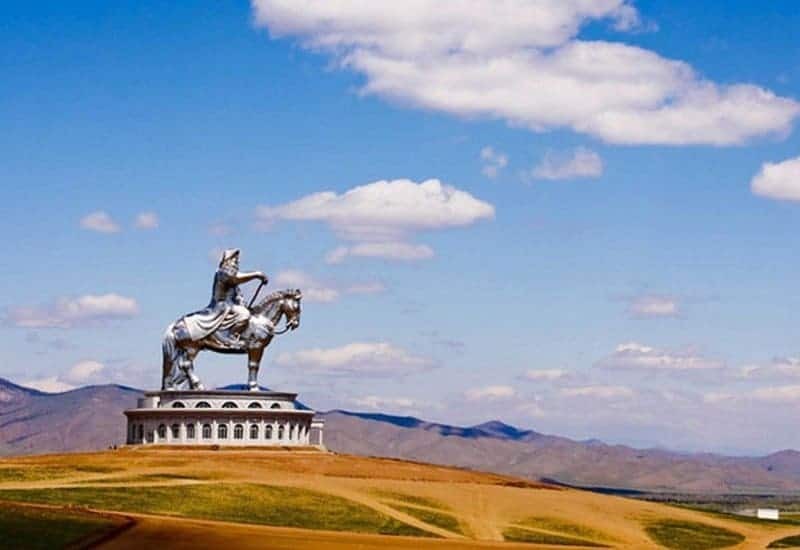 Genghis Khan took the not-so-subtle way out by building this massive statue in his own honor in Mongolia. You have never wanted to see a picture of octopus eggs because you had no idea how weirdly gross it can be. 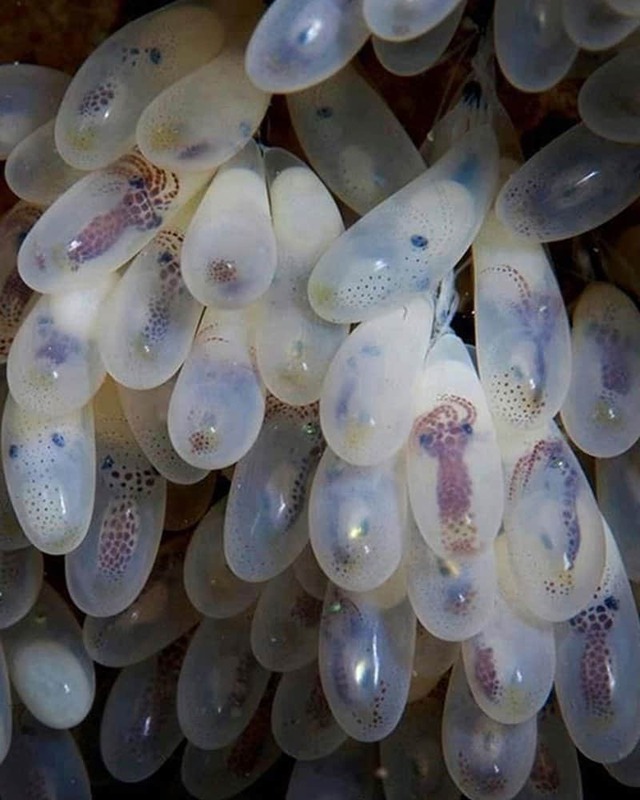 You can actually clearly see the outline of baby octopuses through the gelatinous shells. 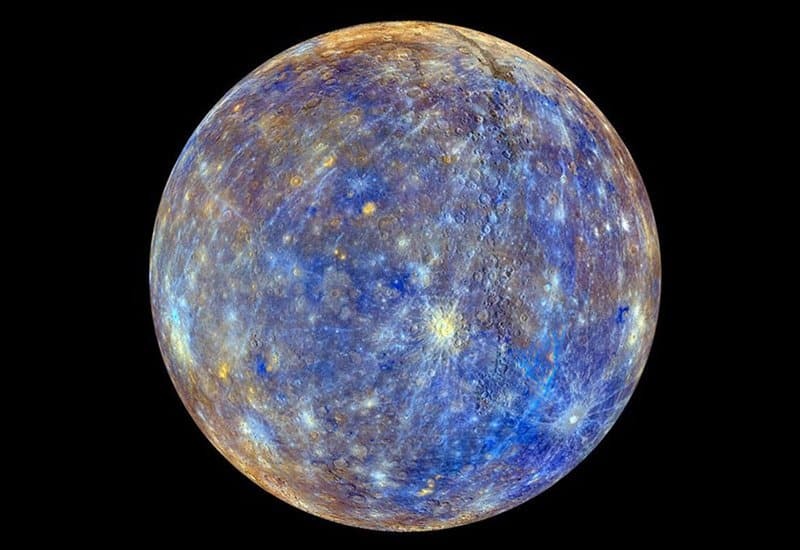 This image is the clearest known image taken of the planet Mercury. You can clearly see the complexities on its outer-surface and the overall design is distinctly different from our own. 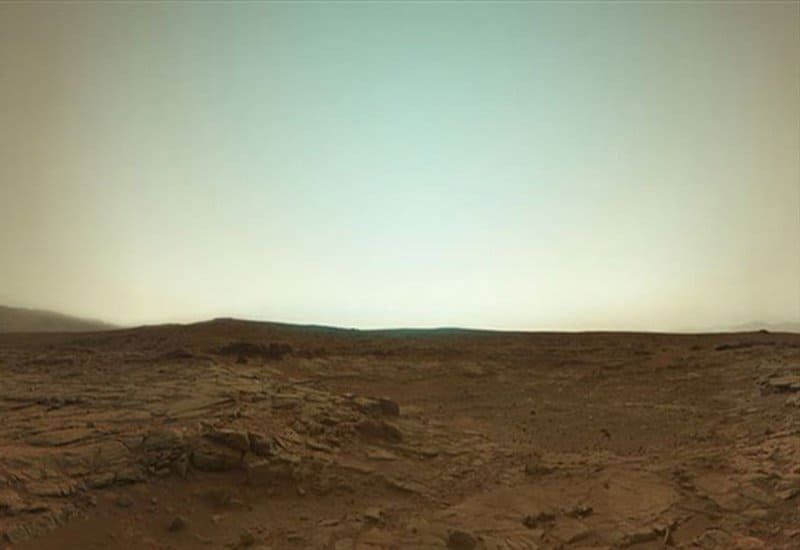 This image was taken from the Curiosity Rover during its expedition in Mars. 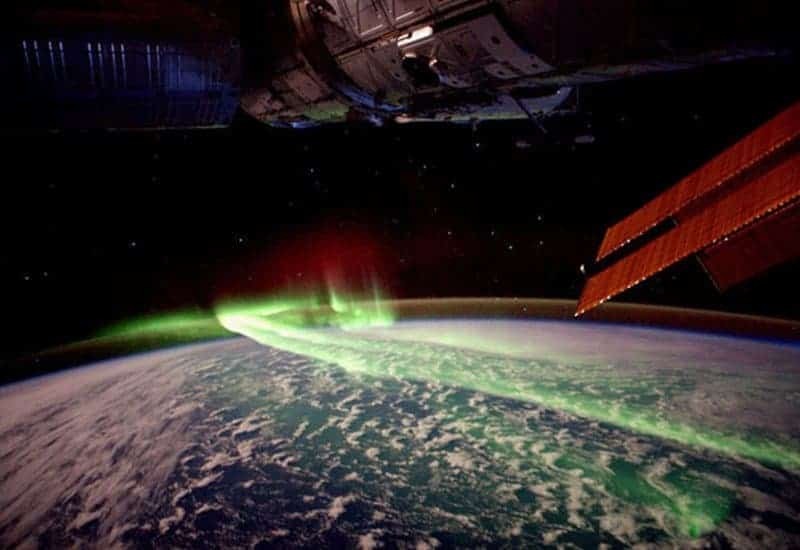 It is a highly popular image as it shows us the surroundings using a camera that has captured the planet in its true colors. This stunning image shows us exactly how the northern lights look when they are shining brightly from the depths of space. The hues of green is stunning and makes the phenomenon look spectacular. 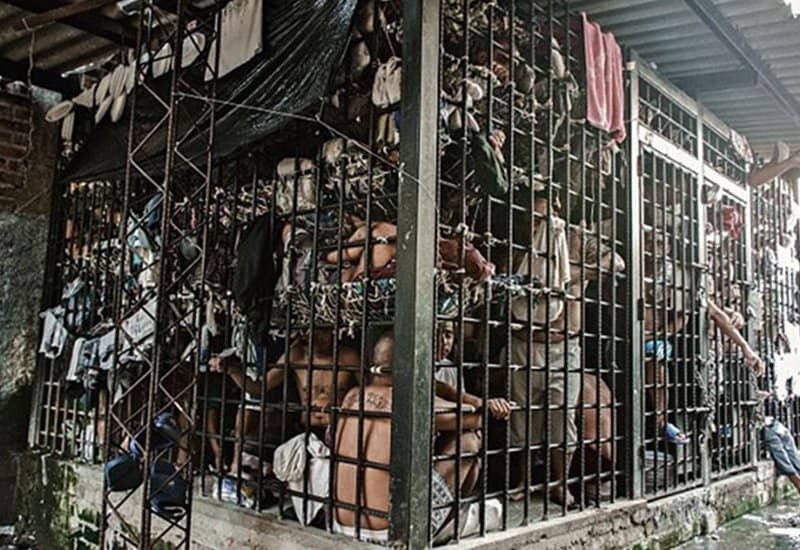 If you think the United States has a overcrowded prison, take a look at this image taken in a prison in El Salvador. You can’t even easily distinguish the number of people who have been crammed into a single cell. This image is beautiful for many reasons. It was taken just a few moments after it was confirmed that Albert Einstein passed away. 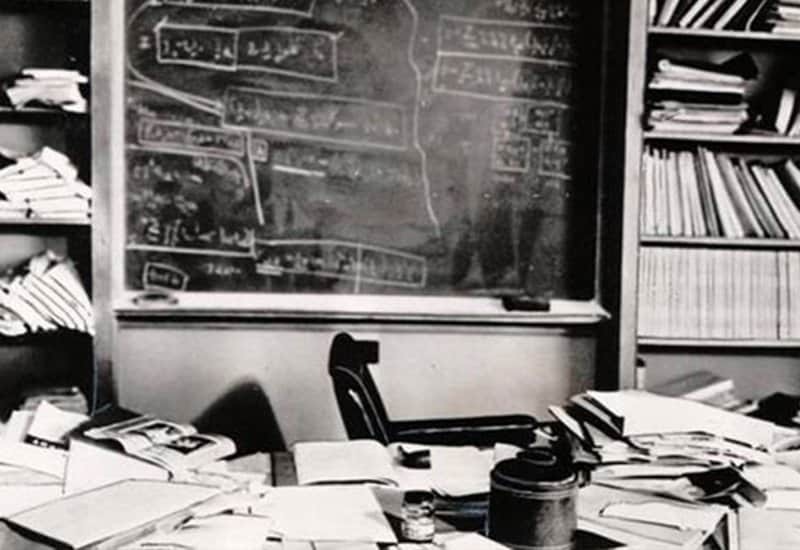 The photograph of his work space shows us exactly how busy the genius was, even during his last days. Hitler is probably the most controversial personality of the last century. There has been much speculation about his personality, even going as far as dissecting his tastes and interests. 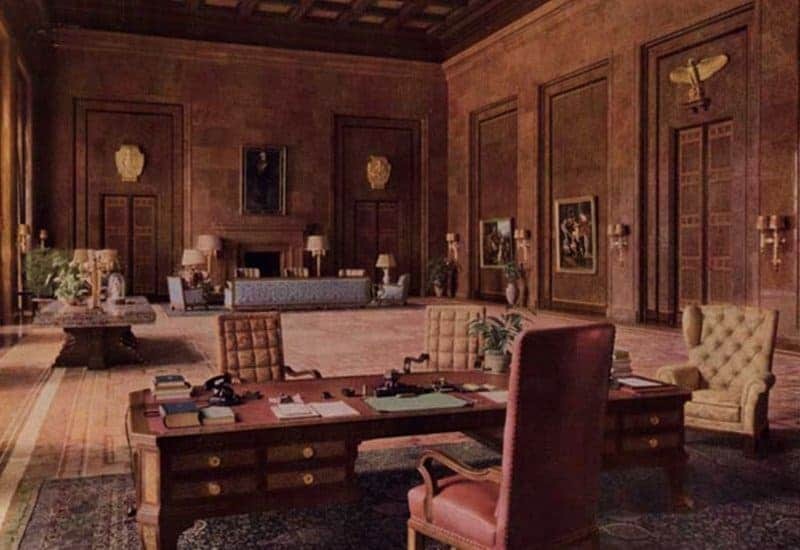 This photograph of his office shows us a small glimpse into the mind of a person who was responsible for the death of millions of individuals.